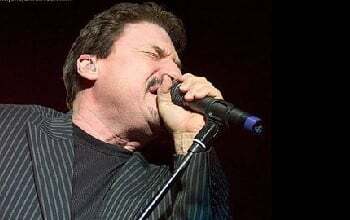 Bobby Kimball is a singer whose career has been highlighted by million-selling and Grammy-winning triumphs, and tragic personal missteps followed by redemption. He was born in 1947 and grew up in Vinton, Louisiana. As early as age five he manifested an interest in music, and started singing. He later learned the piano and he listened to a lot of Dixieland jazz, which was undergoing a revival in the early and mid-’50s. His later influences were mostly from the world of R&B, especially Ray Charles and, later still, Aretha Franklin and Otis Redding. The British Invasion was a transforming experience for him: — the Beatles and, even more so, the Who, showed him another approach to R&B. He wasn’t quite ready to commit to a music career, however, and was a medical student during the early ’70s, working in his spare time with groups such as the Levee Band in New Orleans. Kimball decided to try his luck closer to the center of the recording industry and moved to Los Angeles in 1974. Fate took a hand when he crossed paths with Floyd Sneed, Joe Schermie, and Mike Allsup, former members of Three Dog Night; the soul-based pop/rock septet had broken up after seven years of unprecedented success as a singles and touring act that carried them around the world. The ex-members believed there was still some life left not only in their sound, but their brand of music, but as none of them had been one of the singers largely responsible for the earlier group’s success, it wasn’t clear that they could pull it off. Kimball’s voice proved to be a necessary piece of the puzzle, and the result was the SS Fools (a name derived from the title of one of Three Dog Night’s albums), who recorded a superb album for Columbia Records, but broke up after their first tour. And although that band proved a dead end in terms of its own future, it was during his time with them that Kimball first met Jeff Porcaro and David Paich, two top session players in the Los Angeles area. Some 18 months after the demise of the SS Fools, Kimball was approached by Paich and Porcaro to become the lead singer of their new group, Toto. He later revealed that they’d been turned down by Michael McDonald and Kenny Loggins, who were already too involved with going careers to sign on; fortunately, Kimball had no such encumbrances and took the gig. An R&B-based band made up of top session men — and somewhat similar, at least on paper, to an English outfit of the same period called Kokomo — Toto became immediate stars, first in Los Angeles and later nationally, culminating with their Grammy-winning fourth album, Toto IV (1982). The latter became one of the top-selling long-players (and, later, CDs) of the ’80s, moving a career’s worth of copies spurred by the song ”Rosanna.” Along the way, Kimball also showed his worth as a composer, with songs like ”You Are the Flower” from the group’s first album, and a pair of songs off Toto IV. But it was as a singer that his career soared. ”Rosanna” had the vocals shared between Kimball and Steve Lukather, and David Paich also took some lead vocals on the album, as well; but ”Make Believe,” ”Waiting for Your Love,” and ”We Made It” were great solo showcases for Kimball. And by that time, he was a ubiquitous presence as a session singer on the Los Angeles music scene.